I remember the first time I heard this concept of social emotional learning (SEL) and its importance in academic learning. I realized then that our first job is to teach students what is expected and how to do that. It’s so validating to know that SEL is not a waste of time, but an imperative that would ultimately save time in lost learning due to behavioral issues. Obviously, we can start with creating a safe learning environment in our classrooms. There is a strong link between academic learning and social emotional skills, especially when paired with the arts. Educators who learn to teach students those skills – and create supportive school environments – see academic learning flourish. Have you ever heard of the reptilian or lizard brain? It’s the part of our brain that controls basic functions we need to survive, like breathing and heartbeat. You have probably heard of the fight, flight or freeze response. That’s what our lizard brain tells us to do when we sense danger. Our brains are wired to help us protect ourselves. When our students come to us – whether it is in the morning, returning from lunch/recess, or from another class – there are some whose lizard brain may be on high alert. We may not know what happened that may have put this child on edge. But whatever it was, that child is not going to be receptive to learning. Unfortunately, there are some children who are constantly operating from that basic place of survival. It may be from a situation at home or in their neighborhood. It may be an issue with their peers at school or some combination of those possible stressors. Every child experiences some level of stress and feels unsafe at some time or another. Many children do not know how to process and respond to these feelings. That is where we educators come in. However, the reality is that our students cannot learn until their brains are ready to learn. If we want our children to learn, we need to teach them the skills they need to navigate their emotional and interpersonal world. What do I love most about the arts and arts integration? They naturally support social and emotional learning! The arts foster empathy. They help students identify and process emotions. They provide safe opportunities to practice decision-making. The concepts of taking time to teach behaviors, choosing words carefully to remove judgment, and devoting time to build a cooperative classroom environment comes from an approach called the Responsive Classroom. Once I read some books and attended training opportunities on the approach, I fell in love with the philosophy. It made so much sense to me and helped me to create a more caring and supportive classroom. It’s a popular teaching method for many teachers and fits in nicely with social emotional learning. The next time program I discovered that was devoted to this social emotional learning was Focus Five’s Acting Right. I have written about this approach before and have used it extensively. I love it because it uses games and the actor’s toolbox (body, voice, imagination, concentration and cooperation) to teach children to self-regulate while explicitly building the skills students need in a kinesthetic integrated arts classroom. It dovetailed so nicely with the Responsive Classroom approach but gave me even more tools and specific language to help my students be ready to learn with their minds and whole bodies in a cooperative manner. Recently, I learned about the existence of Social and Emotional Learning Competencies. They divide the competencies into self-awareness, self-management, social awareness, responsible decision-making, and relationship skills. There is a growing body of research that demonstrates that teaching these skills integrated into the academic curriculum has a strong positive impact on student learning. Additionally, there is an organization devoted to this approach to teaching called Collaborative for Academic, Social and Emotional Learning (CASEL). A visit to their website provides plenty of information that describes this approach to teaching and learning, contains lots of research to support the approach, and also supplies many resources. The longer I stayed in the classroom, the more I noticed students who didn’t seem to be able to self-regulate. Students who couldn’t work with others. 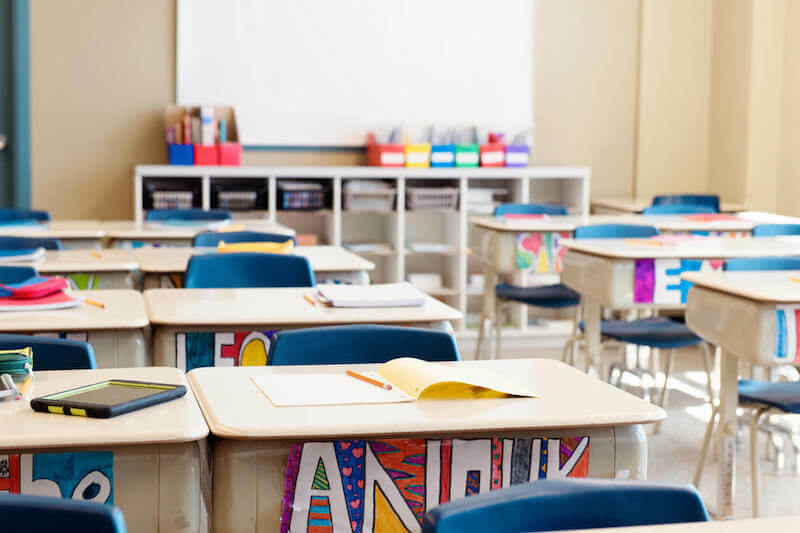 Students who were not emotionally ready to learn – or could be easily triggered – but not easily brought back to a mental space where they were ready to learn. I am sure the reasons for this are as varied as the students who fill our classrooms. However, in order to have a truly effective learning environment, teachers need to have many tools at their disposal. Learning about how social emotional learning benefits all students and intentionally teaching them the skills they need in a supportive environment goes a long way in improving student academic performance. It also gives these students life-long tools to live healthier, happier more productive, fulfilling lives.